The Baseball Player Magazine Training and Media Center has joined the cause with Nassau County Executive Edward P. Mangano and Children’s Sport Connection (CSC) to help with their Sports Equipment Drive. BPM will host an equipment sorting and distribution day at their Jericho, NY Baseball and Softball facility. 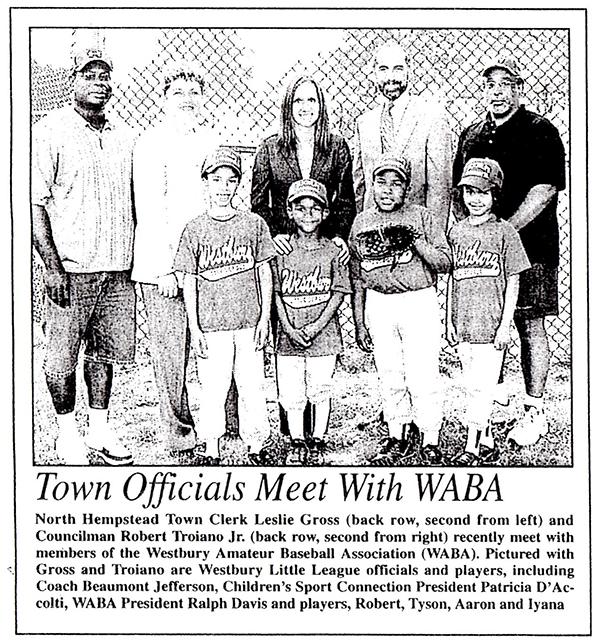 The Saturday, November 16, 2013 event closes a month long drive with the assistance of The Nassau County Executive to collect donations of gently used and new golf clubs, baseball mitts, tennis racquets, skates, balls and any sports related items. With the help of a local baseball organization, the Long Island Whalers, and other volunteers who will be working at the sorting and distribution event, every child in need can enjoy the opportunity to play sports. The donated equipment distributed will benefit Adults and Children with Learning & Developmental Disabilities, Inc. (ACLD) with over 20 group homes in Nassau County and their youth program for those with developmental and learning disabilities. The drive will also benefit children from various programs throughout Nassau County. 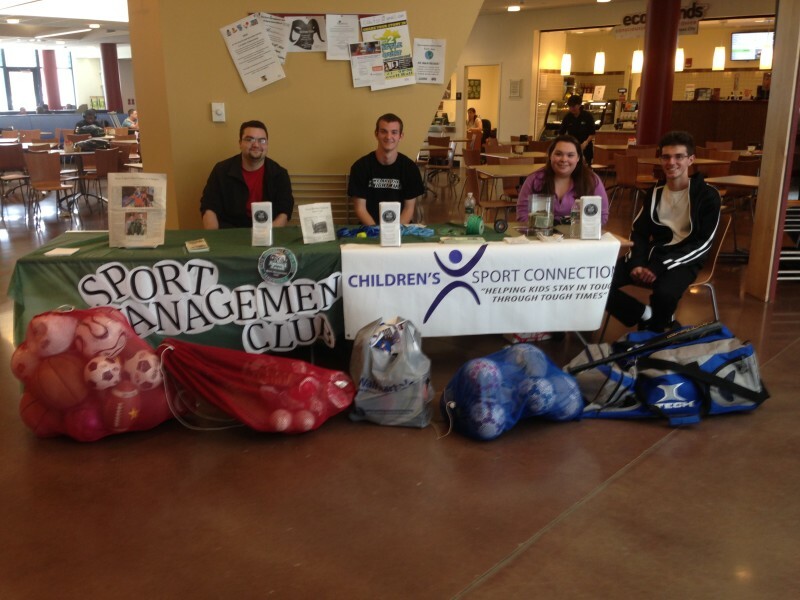 The mission of Children’s Sport Connection is to provide financial assistance to those children from homes in the midst of a family crisis. We believe these children can benefit emotionally if they are enabled to maintain an active involvement in organized sports. Many studies have shown that such activity is the hallmark of a healthier lifestyle benefiting children at each age level. Families in crisis often find it difficult to devote their precious time and finances to athletic programs. “Helping kids stay in touch during tough times”. Baseball Player Magazine Training and Media Center is a baseball and softball training center featuring 15,000 square feet of training area for fielding, hitting, pitching, strength and speed training. Production of their Baseball Player Magazine also takes place at the facility. Visit them at 200 Robbins Lane, Jericho, NY. For more info, please visitwww.baseballplayermagazine.com. 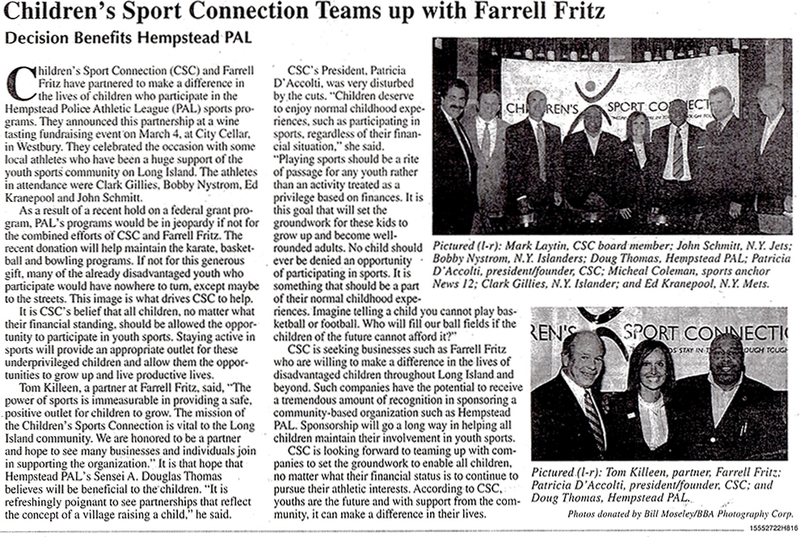 We are excited to announce that Newsday has featured Children’s Sport Connection in Sunday’s paper. 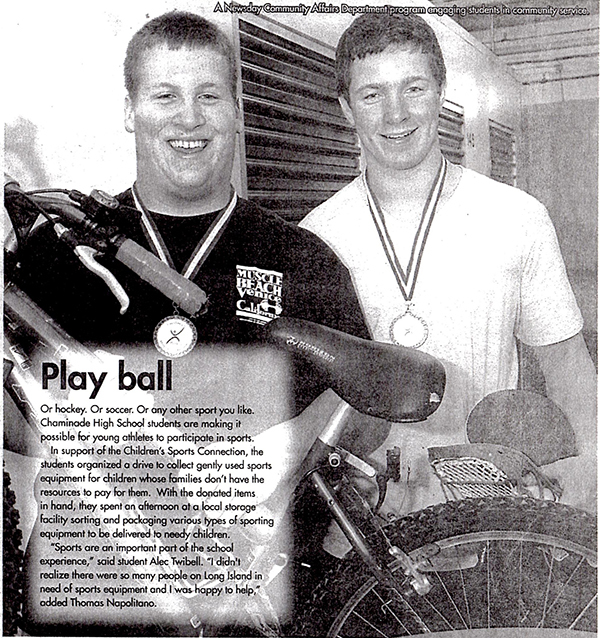 Read the full article to see Children’s Sport Connection and our work through the years.